I’ve known Kate, mistress of all things quilting at Katie Mae Quilts for mumble mumble a lot of years. I’ve hired her to make a ton of running (and non-running) quilts for me. Basically I’m obsessed with her quilts. 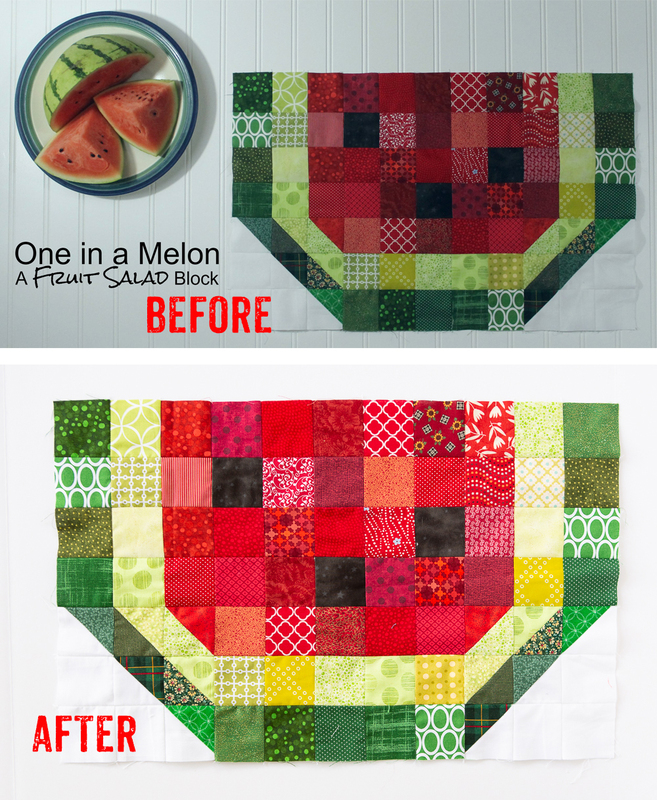 In 2018 she started creating patterns for a Fruit Salad Quilt. And over time I’ve helped her improve her photography skills via chats from Florida to her current home in Oooooooklahoma (yep, couldn’t resist). But by her own admission, photography is not her jam and not something she enjoys doing. Heck, quilting is something I’ve tried and I’m not good at. Buying fabric = fun, measuring and cutting = not so much, which is why I outsource to Kate! So with the wisdom if a good small business owner, she outsourced and had me do a branding shoot for her new pattern line. When I sent over her images, she responded with, “Holy cow, my plum actually looks purple! I'm never taking another picture. This is what they mean when they say outsource to a pro.” Then she very kindly allowed me to show off this before and after to show why hiring a professional photographer is so important for your small business brand photography. If you’re a quilter, check out Kate’s patterns and support one of my favorite fellow small business owners!